If you're looking for the perfect mix of value, functionality, elegance, and fashion, the Hangout HO 14 is sure to please. The value-priced HO 14 Bluetooth headset doesn't skimp on style or substance. With surprisingly high-end features and distinctive design in such an affordable package, it's a brilliant choice for budget-conscious people. Speaking of convenience, Active Pairing simplifies the initial pairing of the HO 14 with other devices. Single-mic noise reduction and echo cancellation technologies also promote crystal clear calls time after time. The noise reduction feature is also commendable and its sound quality is too good. It is the most reliable headset that you can depend on, especially when you are driving. Ho 14 is the perfect headset if you’re new to using Bluetooth, but its features will satisfy even seasoned users. Start talking your way to hassle-free, hands free conversations with HO 14. 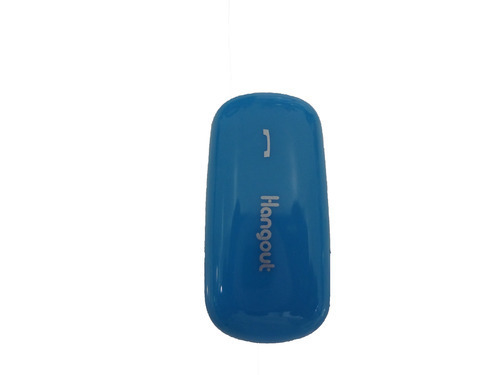 Ideal for the mobile professional who needs wireless communications anywhere they work, the Hangout HO 14 can conveniently connect to your favorite mobile devices--smartphone or tablet--to ensure a seamless connection regardless of the device being used. Offering a high level of audio quality, the Hangout HO 14 enables you to roam into any environment with the confidence that every word will be heard clearly. The Hangout HO 14 is famous for their voice clarity and sharpness. Even while you are walking or travelling, the headset enables you to hear each and every word clearly. People aren't hearing all the music. Artists and producers work hard in the studio, perfecting their sound. But people never really hear it will normal headphones. Most headphones can't handle the bass, the detail, the dynamics. Bottom Line, the music doesn't move you. The music you listen to in your headphones should capture all the sonic details the artist wanted you to hear. But normal headphones can't deliver the rich, full sound in today's digital audio tracks, especially not smaller, lightweight headphones. But solos high performance headphones, which are designed for today's active lifestyles, deliver sound so real, you'll be amazed it's all coming from something so compact and portable. Hangout is the leading manufacturer, supplier and exporter of a large range of electronic hearing controls and systems. The products comprise of USB Headset, Wireless Headset, Bluetooth Headset, High Definition Headset, Computer Headset, Mobile Headset, Bluetooth Earpiece and more. All Hangout products are having high reliability, high efficiency, fast response, clear voice reception, failure proof control circuit,durability, are light in weight with adjustable headband, soft leatherette ear cushions for total comfort, compact design, high performance, flexibility in cord designs, good audio quality, maintenance free working with reliable and safe operation, sturdy and efficient. All Hangout electronic products are well acclaimed by the clients for its accuracy, longer service life, low maintenance requirement, power efficiency, fine workmanship and premium packaging. The products provide accurate results owing to use of advance technology.